Mr. Wayne H. Dorr, 83, formerly of State Street, Clayton, died January 23rd, in Argonne, Wisconsin, where he has resided for the past four years. There will be a Graveside Service at the Depauville Cemetery in the Spring at a time to be announced. Wayne was born September 24th, 1939, in Syracuse, the son of Hermon and Dorothy Hartman Dorr. He served in the U.S. Navy from October 9th, 1957, until he was honorable discharged, October 4th, 1962. On March 19th, 1966, he married the former Cynthia Hackbarth, at St. Mary’s Rectory, with Monsignor Dennis Lynch officiating. Cynthia died July 7th, 2002. Wayne worked for a number of years at Anchor Motor Freight on Wellesley Island until it’s closure, then he worked on Fort Drum until his retirement. Surviving are two sons, Phillip of Montana, and Paul of Pennsylvania; grandchildren; one brother, Dennis of Florida; five sisters, Ms. Nancy Dorr of Florida, Mrs. Shirley (Roger) Gerwitz of Angola, Mrs. Phyllis (Lawrence) Angel of Pennsylvania; Mrs. Janice Amidon of Utica, Mrs. Donna (Robert) Wicinski of Maryland; nieces and nephews. One daughter, Patricia A., died on June 15th, 1991, at age 21. Mr. Robert C. Bender, 63, died Sunday, January 27th, at The Grand in Rome, N.Y., where he resided since October of 2017. There will be no calling hours or service. A Celebration of Life will be held this Spring at the family’s convenience. Bob was born, April 18th, 1955, the son of Charles and Audrey Danough Bender. He attended local schools and was a lifetime resident of Clayton. He was owner and operator of Riverside Construction for over 35 years, mainly working in Thousand Islands Park on Wellesley Island. On April 25th, 1980, he married the former Kandy Tibbles Sharp at the Clayton United Methodist Church with Reverend Robert Nay officiating. Bob and his wife loved boating on the river, and going on vacations, especially cruises. He enjoyed building things, including his own home. He was noted for winning the Shaltain Award for work he did on a Queen Ann styled porch he did at T.I. Park. 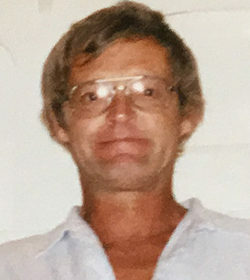 Surviving besides his wife Kandy, is one son Jesse (April) of Hammond; one daughter, Ashley (Steve) Pierson of North Carolina; his mother, Audrey, of Watertown; three grandchildren, Jesse and Nathan of Hammond, and Skyler of Clayton; three sisters, Janet Ferguson of Clayton, Holly (Dee) Coburn of Washington, and Becky (Craig) Dodge of Watertown; two brothers, Ray of Clayton, and Dennis (Carol) of Washington; nieces and nephews. His father Charles, and his sister Julie, died before him. Donations can be made in his name to T.I.E.R.S., P.O.Box 524, Clayton, N.Y. 13624. Franklin R. Shaffrey, age 85, of Clayton, NY, died January 19, 2019, at Samaritan Medical Center, Watertown. He was born in Lowville, NY, the son of Royce E. and Alene E. (Woolaver) Shaffrey. He graduated from Lowville Free Academy in 1951. He served in the U.S. Air Force from 1952 to 1956 as a control tower operator, serving primarily in New Mexico. From 1956 to 1965 he was employed with Eastern and Mohawk airlines at Watertown International Airport. In 1965 he joined U.S. Customs, and was assigned at Rouses Point, NY, and Alexandria Bay, NY, Ports of Entry, retiring in 1993. On June 30, 1953, he married Patricia I. Combs at Trinity Episcopal Church in Lowville. She died June 5, 2014. Patricia worked for a time at Guardino Elementary as a hall monitor. Frank was a member of Christ Episcopal Church, Clayton, NY. He enjoyed cutting firewood, woodworking projects, and time with family. He is survived by two daughters, Linda (Roland) Slone, Clarksville, TN, and Janna (Robert Cooke), Watertown; grandchildren, Adam Wiggins, Cape Vincent, and Lydia (Adam) VanNatta, VA., and great-grandson Michael VanNatta, three brothers-in-law, nieces and nephews. He was predeceased by his son, Michael, in 1984 at age 14, two sisters, Geraldine Stansbury and Marion Yandeau, his parents and his wife. A graveside committal service will be scheduled in spring. Memorial contributions may be made to Samaritan Foundation (Samaritan Medical Center), 830 Washington St. Watertown, NY, 13601 (or samaritanhealth.com/give-online), or Christ Episcopal Church, 235 John St., Clayton, NY, 13624. Mrs. Barbara J. Hoops-Landon, 89, died Tuesday, January 8th, at Samaritan Summit Village, where she resided since September of 2013. There will be a service in the Spring at a time and place to be announced. Barbara was born February 21st, 1929, in Watertown, the daughter of Vernet and Harriet (Hattie) Robinson Schnauber. She graduated from Clayton Central School. A former marriage to Bruce Shaw ended in divorce. She then married Norman Landon in 1958. He died in 1965. Later on she married John (Bart) Hoops, who predeceased her. Being married to her husband Norman Landon, they owned and operated the Gunns Corners Restaurant, until they sold it and opened a liquor store in Brownville. Barb bought Treasure Island on the St. Lawrence River, and later on with her husband, Bart they built a cottage and developed the island and loved spending a lot of time there entertaining friends. They wintered in the Houston area. While in Houston, they belonged to three different bands, the Bayou Banjo Band, a Czeck Band, and the Houston Brass Band. They were also well known in the Jefferson County Area, where they played at numerous nursing homes with their own band (Sugar & Spice). Over the years she was very active in the Omar and Perch River Grange. 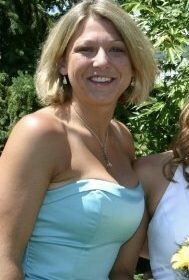 She was a member of the Bethany Methodist Church in Watertown, also the North Jefferson Community Band, the Black River Fiddlers Association, and was very active in the 4-H Organization. Surviving are three daughters, Diane (Mark) Baltz of Omar, Shirley (Gary) Thiessen of Texas, and Patricia (Marshal) Linder of Pennslyvania; two sons, David (Martha) Landon of Warners, N.Y., and Leslie (Laura) Landon of Texas; one step-daughter, Susan (John) Rossi of Florida; twenty grandchildren; one sister, Mrs. MaryLou (Jack) Charles of Ithaca; nieces and nephews. One grandson, James Huddleston, one sister, Helen Klouzal, two brothers, Robert and Medford, and one step-son James Hoops, died before her. 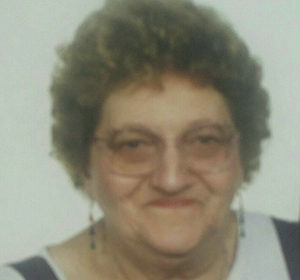 Donations can be made in her name to the Depauville Methodist Church or Hospice of Jefferson County. Mrs. Beatrice Ann Salisbury, 82, of County Route 5, died Sunday, January 6th, at her residence, where she was under the care of her family. Beatrice was born April 25th, 1936, in Rhinebeck, N.Y., daughter of Chester and Elizabeth Day Myers. She attended schools in Red Hook, N.Y.
On April 8th, 1956, she married Alexander Salisbury. They were married over 62 years. She was a homemaker who raised her family, and assisted her husband in the operations of their farm. Beatrice enjoyed horseback riding, and taking her horses to various horse shows around the area. Surviving besides her husband are three daughters, Gail (Doug) Paddock of Clayton, Patricia (Stacey) Rice of Madison County, and Beverly (Richard) Branch of Chaumont; five sons, Alex Jr., Chester (Lisa), David, Eric, all of Chaumont, and Brian of Watertown;19 grandchildren; numerous great grandchildren; two brothers, Roy and Donald of Red Hook; nieces and nephews. One brother, William, died before her. Richard D. Lavetsky, 73, died January 3rd, at Houghton Rehab and Nursing Home where he resided for one year. There will be a Graveside Committal Service at the Depauville Cemetery at 1pm, Wednesday, January 9th, with Military Honors provided by the Clayton American Legion Post 821. A Celebration of Rick’s Life will start at 3pm at the Clayton American Legion. Rick was born, October 11th, 1945, in Watertown, the son of John P. and Marsincavage Lavetsky. He graduated from Watertown High School. He married the former, Florena Pike, January 21st, 1970, in Watertown. Rick served in the United States Navy from July 5th, 1966, until October 7th, 1969, when he was honorably discharged. He worked for over 20 years at Frink Snowplow in Clayton, until it closed. Then he worked at the Clayton American Legion until his retirement. He was a member of the Clayton American Legion Colin Couch Post 821, and was a long time member of the Depauville Fire Department. Rick enjoyed fixing things, kayaking, hiking, and doing puzzles. Surviving besides his wife Flo, is one son, Rick of Dansville; three daughters, Sharon Willis, and Reba Lavetsky, both of Canaseraga, and Jennifer (Mark) Denesha of Navarra Florida; 8 grandchildren; numerous great grandchildren; two brothers, Joe (Kim) of Fayetteville, and John (Linda) of Watertown; nieces and nephews. Donations can be made in his name to the Depauville Volunteer Fire Department. Mr. John W. Huchzermeier, 73, died Saturday, Dec. 22nd, unexpectedly at his residence. A Memorial Service will be held January 1st, at 11am, at the Depauville Methodist Church, with Reverend Earl Lalone Pastor officiating. Burial will be in Depauville Cemetery. A reception will be held at the church after the service, followed by another reception at the Depauville Hotel as per John’s wishes. John was born January 26, 1945 in Watertown, the son of William B. and Elizabeth Warner Huchzermeier. His father died in March of 1953. His mother re-married Henry Cramer later in life. He married Linda Brewer, June 1st, 2002, at the Dexter American Legion, with J.P. Melba Ellingsworth officiating. A previous marriage to Keitha Haas ended in divorce. John graduated from Clayton High School and attended Morrisville College. He entered the U.S. Air Force on August 24th, 1964, and was honorably discharged at the rank of Sergeant on August 23rd, 1968. John served at various locations around the world and the United States. John worked construction for various contractors, he was a truck driver for Pepsi Company, and for many years he was a dump truck driver for Carlisle & Son Sand and Gravel until he retired. He was a member of the Clayton American Legion Colin-Couch Post 821, Depauville Methodist Church, and according to John his main interest was drinking beer. Surviving besides his wife Linda, are two children, Patricia (Michael) Schnauber of Rodman, and William (Crystal) of Depauville; four grandchildren; two step-children, Joe Brewer of Clayton, and Pam Livingston of Chaumont; one step granddaughter; four step great grandchildren; one sister, Mrs. James Glorian (Reinman) of Clayton; nieces and nephews. The family would like to express their sincere gratitude to Dr. Riley, the staff at Public Health, and the many emergency personnel who responded and attended to John. Those people who had the good fortune of knowing John, you certainly would appreciate his sense of humor and benefit from his many stories. The funeral for Mrs. Kathleen O. (Clark) Turturro, 92, of Henry Keep Apartments, who died Thursday, Dec. 20th, at Samaritan Medical Center, where she had been a patient a short time, will be held Friday, Dec. 28th, at Noon, at St. Mary’s Church with Father Arthur LaBaff officiating. A Spring burial will be held at St. Mary’s Cemetery. Kathleen was born on July 17th, 1926, in Three Mile Bay, the daughter of Thomas and LaVilla Chavoustie Kelly. She attended Redfield High School. She worked for Cheeseborough Ponds as an Assembler for 22 years. Kathleen was a member of the Watertown Legion Ladies Auxiliary. Surviving are two daughters, Linda Gifford of Rosiere, and Sharon Cruse of Kingston, Ontario; four sons, David (Dianne) Clark of Camden, Guy (LouAnn)Clark of Chaumont, Scott Clark of Stone Mills, and Kevin (Mary) Clark of Cape Vincent; a daughter in law, Roberta Clark of Rosiere; 20 grandchildren; great grandchildren; and great great grandchildren. Two children, Robert and his sister Janice Clark, died before her. Donations can be made to St. Jude Children’s Hospital, PO Box 1893, Memphis, TN 38101-9950. 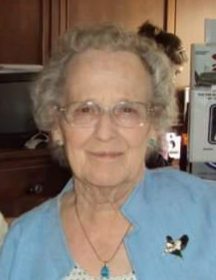 Mrs. Thelma I. Houghton, 95, of Cicero and Liverpool, died Monday, November 12th, at her daughter’s residence, where she was under the care of her family and Hospice of Central New York. The Funeral will be held at 11am Thursday, November 15th, at the T.R. Jetty Funeral Home in Clayton with Reverend Frederica Webb, Pastor of Fineview Methodist Church, officiating. Burial will be in Riverside Cemetery, Wellesley Island. Thelma was born, November 9th, 1923, in Thousand Islands Park, the daughter of Joseph and Catharine MacKinnon Patterson. She graduated from Clayton High School. On December 13th, 1941, she married William Houghton in Plessis, N.Y. Bill died November 20th, 2008 at age 85. For a time Thelma worked as a Secretary for the Y.M.C.A. in Watertown. From 1975-1985, Thelma and her husband, owned and operated Bill’s Mini-Mart on Wellesley Island. Thelma was a member of the Brewerton Methodist Church, the Fineview Methodist Church, Wellesley Island Fire Department Ladies Auxiliary, the LaFargeville American Legion Klock-Smith Post 1588 Ladies Auxiliary, and a member of the Brewerton Eastern Star. Surviving are four daughters, Karen Houghton of Rochester, Judy Barth, Sandy (Ron) Oaster, and Sheryl (Paul) Carlucci, with whom she resided with, all of Cicero; 12 grandchildren; 21 great grandchildren; nieces and nephews. All of her brothers and sisters died before her. Donations can be made in her name to the Fineview Methodist Church, or the Wellesley Island Fire Department.